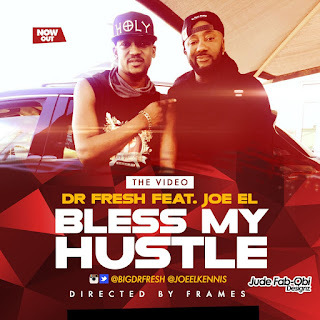 legendary rapper who with a few others were the pillars of Rap music In Nigeria "Dr Fresh" is here with the video to his Smash hit come single "Bless My Hustle" featuring Kennis Music's Joe El. Dr Fresh is affiliated to Lakreem Entertainment & Paper Records, and is back and better to do more banging singles. The video was shot in Lekki Lagos, and directed by Director Frames.